Tempe resident J.D. Shaeffer, will complete the Appalachian National Scenic Trail this summer in only 3 months and 11 days. The A.T. is the longest hiking-only footpath in the world, nearly 2,200 miles in length. The trail travels through fourteen states along the crests and valleys of the Appalachian Mountain Range, including the highest points in many of these states. J.D. began at the A.T.’s southern terminus at Springer Mountain, Georgia on May 4, 2018 and will finish the through-hike at its northern end at the peak of Mount Katahdin, Maine on August 14, 2018. Fitting the 2,200 miles in between semesters was no easy task. J.D. flew out of Phoenix less than a day after his last spring final exam on May 3rd. He landed at Atlanta’s Hartsfield airport around 6 a.m. on May 4th and that same day arrived at the approach trail at Amicaloa Falls State Park. 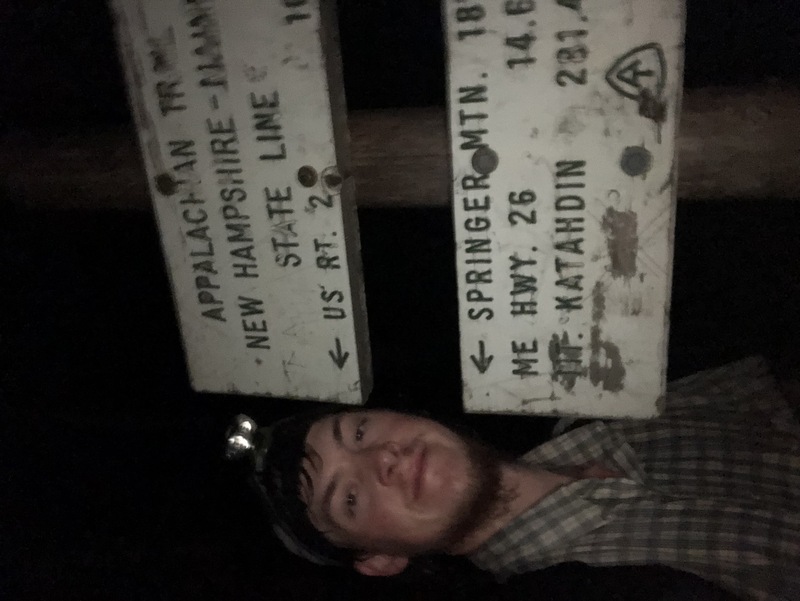 After 8 miles of hiking, he officially began the Appalachian Trail at Springer Mountain, Georgia, and then hiked his first 2 miles of the A.T. before retiring for the first of 103 nights spent on the trail. Over the course of his difficult journey, J.D. averaged hiking a marathon a day, his mileage record being 41 miles hiked in one day. He will finish just in time to catch a flight home on August 16th, the first day of fall classes at ASU. According to the Appalachian Mountain Club, “An Appalachian Trail thru-hike takes between five and seven months to complete the entire trail. About 20 percent of hikers who begin the trail will complete it.” J.D. will complete it in 3 months and 11 days. J.D.’s determined character, smart planning, and 6’10” height gave him major advantages to finishing the A.T. quickly. First, J.D. exercised strong mental stamina throughout the hike, which is necessary to overcome normal expectations, loneliness, and illness. The hardest physical demands include hiking up Mount Killington, Vermont in freezing wind while thoroughly wet for days due to one-of-the-many multi-day rainstorms he endured. Long distance hikes like the A.T. take extensive planning, and one evidence of this is that J.D. carried as little weight as possible, food being the priority. Decisions like wearing the same shirt and shorts the entire journey with no coat (or bringing any cooking gear) gave J.D. a needed advantage to keep a fast pace. These advantages and his physical strength helped J.D. hike and climb almost 2,200 miles in 103 days. J.D. Shaeffer, one of five children, was raised in Tempe, Arizona. He is a graduate of Marcos de Niza High School, Fees Middle School, and Rover Elementary. He is now a Computer Science major at Arizona State University. He is an Eagle Scout from troop 576 (having done work on the Arizona Trail for his Eagle Project) and spent two years as a missionary in Paraguay for The Church of Jesus Christ of Latter-day Saints.